Does it seem as though you can never get your house to stay clean for more than five minutes? Are you tired of tripping over cars, dolls and more? Getting your kids to buy-in to helping around the house will help to save you the time (and the heartache) of chasing after them, picking up the trail that they leave. 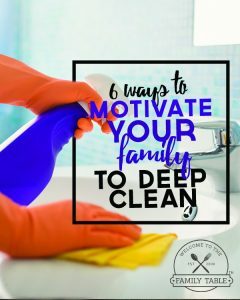 Here are 8 ways to get your kids to clean up without reaching mom burnout. Little ones often have a tough time if asked to clean up their room, playroom, etc. They look at the task and see it as overwhelming, not knowing where to begin. Rather than giving that larger direction, break it down into smaller, more manageable tasks. You may choose to clean up by colors, starting with everything red, then blue, etc. This strategy is also a great way to practice skills, as you may also choose to have your children pick up things that start with the same letter sounds…practicing phonics as they go! Make sure that each toy has a place that it is supposed to go and teach your children those places. If you have bins for dress-up clothes, then make sure that they know what goes in each one. Make sure they know where to put puzzles, books, etc. before you give them the task of cleaning. This helps them to know exactly what you want them to do. If your children see you doing work, too, they will be motivated to try to beat you in cleaning. 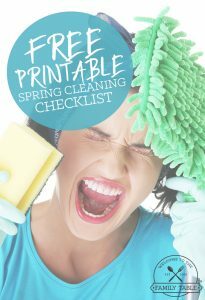 Challenge them to a contest to see if you can finish cleaning the kitchen, making dinner, etc before they finish cleaning the desired area. Set a small reward, such as the chance to pick the show that you watch together after dinner. 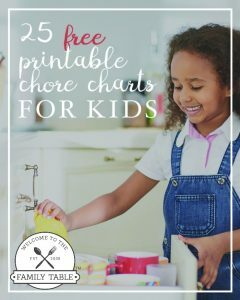 If your kids are having a tough time remembering to keep things picked up, starting a chore chart system may help to be the motivation that they need. Place a sticker on a calendar (or chart) for each day that they successfully kept their things cleaned up. Talk about the number of stickers needed to earn a reward and decide what the reward will be. Once they have earned the needed number of stickers, it’s time to celebrate their hard work (and your clean house)! If you provide allowance for your kids, link the tasks that you would like them to do to help around the house to their earning their allowances. It will help them to see that they have to work to earn money. You may choose to give a certain dollar amount for each task, or simply provide a list of age-appropriate tasks that need to be done if they are to get their allowance at the end of the week. While giving consequences is not fun, teaching your kids that there are consequences for their actions is an important lesson to teach. Explain to your children that, if their toys aren’t picked up, then they won’t be able to do the fun activity that they were excited to do. You might choose to not let them watch a favorite show, play games, or not have a friend over, etc. It’s amazing how much can get done in five minutes! Tell your kids that you’re going to set a timer for five minutes and that you want to see how much they can get done before the timer goes off. This is a great time for you to get to work, too. Setting a time limit is sure to make everyone work faster and when the timer goes off you’ll be amazed at how much was accomplished. Continue with the timer until your house is all cleaned up. 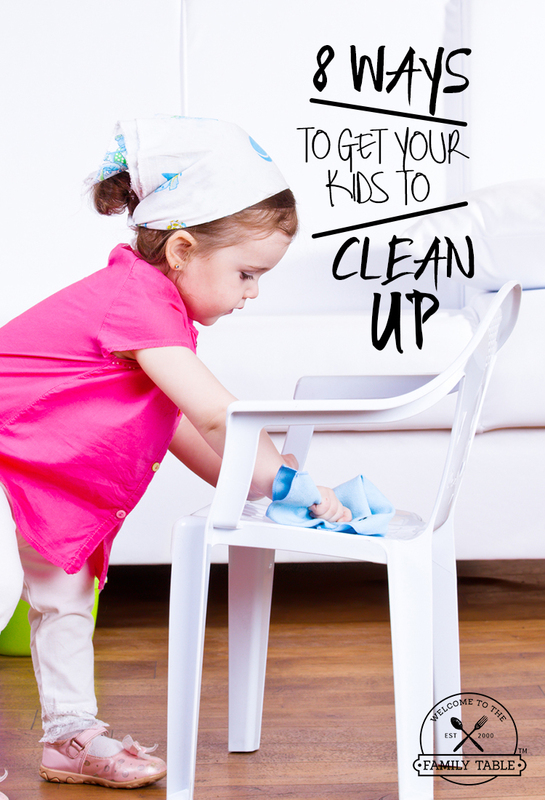 Do you know other ways to get your kids to clean up? Please share your tricks of the trade!